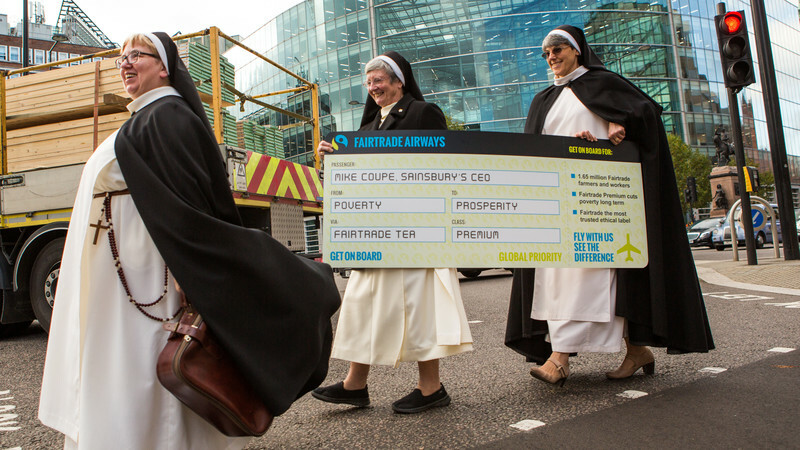 Sister Dominica, Sister Chris and Sister Karen took to the street to campaign for Fairtrade. They are carrying a giant boarding pass to hand over to Sainsbury's CEO Mike Coupe, to encourage him to visit Fair Trade farmers overseas and not ditch the Fairtrade label on Sainsbury's tea. I like this prayer because it reminds me so much of the message that Pope Francis is communicating to every citizen on the planet in his encyclical letter, Laudato Si’. 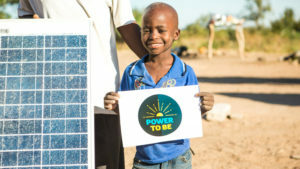 For the Pope, the deterioration of the environment and the deterioration of society are inextricably linked, and both affect the most vulnerable on the planet (#48). Francis urges us to open our eyes and ears and be receptive to both the cry of the earth and of the poor (#49). He goes on to say that we need ‘to become painfully aware, to dare to turn what is happening to the world into our own personal suffering and thus to discover what each of us can do about it’ (# 19). Wow! This is really hard – it is so much easier to think that suffering belongs to people and countries far away. But this is not ‘acting as a neighbour’. Acting as a neighbour means seeing every person as a brother and sister in Christ, and seeing the earth as our mother who now cries out to us in pain. Being a neighbour means being willing to cross roads, cross boundaries, cross over from a place of comfort to a place of discomfort. It means opening our eyes to the injustice in the world, and being prepared to be persecuted ‘for righteousness sake’. (Matthew 5:10). Denislania and his family,. 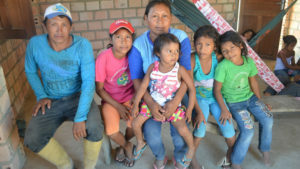 They are part of the indigenous Macuxi tribe in northern Brazil. They won a 30 year legal fight entitling them to stay on their land. The words in this prayer remind me very much of Sr Dorothy Stang who lived a life listening to the cry of the earth and the cry of the poor. She chose to speak out for justice and to care for the earth –she was murdered for taking the path less trod. Sr Dorothy, an American citizen, made her home in Brazil. She set up dozens of base communities, launched 23 schools and created a structure for the poor to claim their land. She fed the hungry, built community, lived in destitution. She confronted illegal loggers and corrupt ranchers, the class who stole land from the poor, kept them in misery, and bought off the police, the military and the government. Sr Dorothy for me is in inspiration – like Romero, like Pope Francis, like Jesus himself, her desire for justice and her commitment to those living in poverty, arose from a deep and intimate relationship with God. For those of us who call ourselves Christian, any campaigning, any fight for justice, must arise from placing ourselves before God and being attentive to God’s call for us. It is prayer which will help us to discern what actions we should take. If you are struggling or feeling uninspired or overwhelmed as regards the state of the world, sit with one of these prayers and let the Spirit speak to you….what is God calling you to do or to be at this moment….ask for the grace to be open and to respond generously, with wisdom and hope. 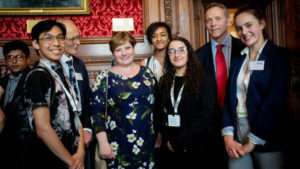 Sign up to campaign with CAFOD today: Get alerts on our latest campaigns and the many ways you can give, pray and act.